a therapy that uses a salt and water solution to flush out the nasal cavity. Although several methods of nasal irrigation exist, one of the most popular is the Neti pot — a ceramic pot that looks like a cross between a small teapot and Aladdin’s magic lamp. Although nasal irrigation using the Neti pot has been around for centuries, its use is on the rise in the U.S., thanks to an appearance on The Oprah Winfrey Show and a fair amount of news coverage. 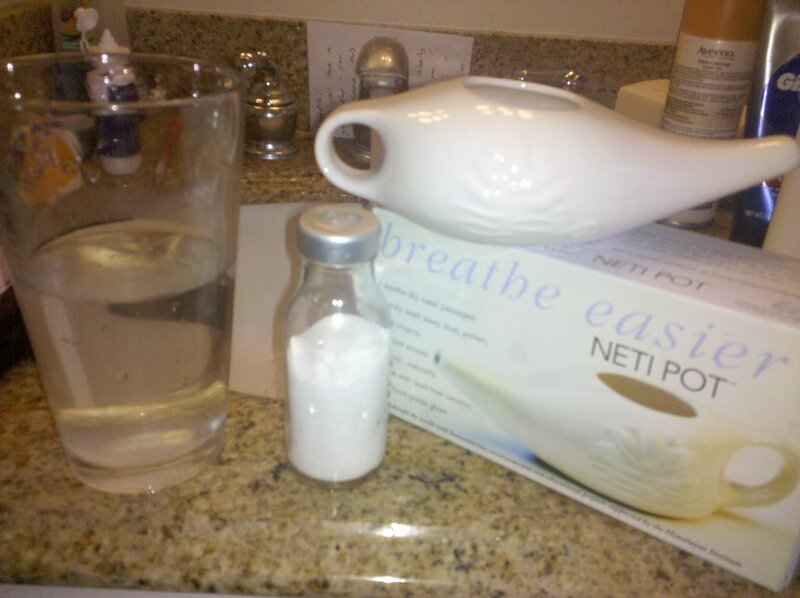 The Neti pot originally comes from the Ayurvedic/yoga medical tradition. Anyway, I used it this morning and am feeling a bit better…do you Neti? Omg sooo random that you posted this. My dr suggested I get one but I’m nervous to try it. Is it scary? I feel like I may breathe thru my nose accidentally and start choking. So funny, I have been thinking about getting one too! !